Posted on 28, April 2016 by EuropaWire PR Editors | This entry was posted in Aviation & Aerospace, Defence, Education, Italy and tagged Finmeccanica, Mauro Moretti, Politecnico of Milan. Bookmark the permalink. 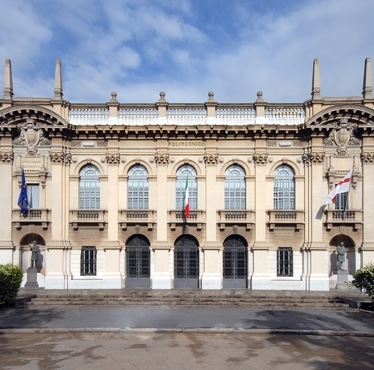 MILAN, 28-Apr-2016 — /EuropaWire/ — Research, development, innovation and training are the focus of the “Innovation Hub” project framework agreement that Finmeccanica and the Politecnico of Milan have signed that defines a number of shared projects that will benefit from the synergy between the Milanese University and the Group. The agreement was signed in Milan by Finmeccanica’s Chief Executive Officer and General Manager, Mauro Moretti and by Prof. Giovanni Azzone, Rector of the Politecnico of Milan. With this agreement, the new Finmeccanica — “One Company” – is taking a new approach to innovation. The company has always been open to collaborations with universities, research foundations, SMEs and start-ups, but with this initiative it intends to raise the bar on Open Innovation, being aware of the fact that in addition to developing original ideas generated within the company, a large enterprise must also embrace areas of innovation beyond its own boundaries. Furthermore, strategic partnerships with prominent Italian and international companies to research issues of common interest play a crucial role at the Politecnico of Milan. The University’s aim is to steer its basic research towards industrially significant applications, as well as to jointly monitor technological evolution. Initially, the agreement covers nine technological areas: fluid-aero dynamics; structural and multifunctional structures and materials; mechanical and electrical systems; avionics systems and components; electric drive navigation, navigation and control systems; software engineering; system engineering; optical and acoustic sensors and space robotics. An additional area for cooperation includes that of managerial and professional training. A special focus will also be on joint participation in regional, national and international funding and research programmes. In the European arena, development efforts will focus on initiatives linked to research programmes such as Horizon 2020, the most important funding programme for research and innovation launched by the European Union, and Clean Sky 2, which focuses on reducing the environmental impact of commercial aviation, aiming at the sustainable development of air transport. In addition to technical and scientific research, the scope of the cooperation between Finmeccanica and the Milanese University will also include design activities and the organisation and provision of training courses. Furthermore, cooperation between the two entities will be strengthened through support to activities the Politecnico of Milan is involved in such as degree theses, PhD programmes and internships at the Group’s branches. Within Innovation Hub, common topics will be defined by a steering committee, consisting of six members, three from each party, which is responsible for identifying and prioritising the technological sectors the collaboration should focus on.